Social media meets online retailing at ThisNext.com, making everyone a critic. Is your top so last season? Find out at ThisNext.com, a social shopping network where people interact with community-validated taste influencers to discover recommended products. 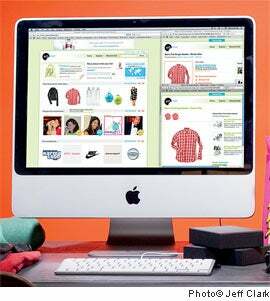 The site, which now tops 2 million unique monthly visitors, earns a lead-generation fee from sending users to major shopping affiliates and also sells integrated advertising. Advertisers are attracted, CEO Scott Morrow says, because ThisNext is fundamentally a product recommendation site and companies want to associate their brand with positive commentary. Morrow believes ThisNext's user-review model is a powerful way to expand a product's audience. "We have those influencers who amplify a marketing message beyond the one-to-one contact." The ThisNext widget lets members display favorite products on their websites. BlogIt ports their recommendations to their own blog. Users can recommend products using a customized tool that puts a bookmark on the retailer's site or click the recommend button next to a product already on ThisNext. They can also share recommendations using social media sites such as Twitter and Facebook. This Google-powered map shows what people are discovering and shopping for, in real time, all over the globe. ThisNext partners with a retailer to give away a hot product each month. Users enter by tagging their recommendations with specified keywords. ThisNext's community team curates the user recommendations deemed most compelling and adds a layer of editorial on top. A top contributor is invited each week to guest blog and be highlighted in the week's newsletter.